What is the role of crowdfunding in raising capital for seed-stage entrepreneurial ventures? Leveraging industry leading crowdfunding platform "Kickstarter" the entrepreneurs behind the card game 'Exploding Kittens' raised more than $2,000,000 in 24 hours after initially seeking funding of just $8,000. Their project, which attracted more than 107,000 backers and hit a final capital raise of $8,782,571 makes it Kickstarter’s most-backed project to date. Other successful Kickstarter projects include the Coolest Cooler raising $13,285,225 off a target of $500,000 and the Pebble Time smartwatch†that earned $20,338, 986. According to Forbes (July 2016), the top three websites for crowdfunding platforms are RocketHub, Indiegogo and, Kickstarter, whose highest site traffic out of all similar websites is most popular for creative projects. A relatively new player in the market, having launched in 2009, Kickstarter has successfully funded more than 100,000 projects and is currently valued at $35 billion. Emma Li (PhD Candidate) set out to better understand this fast-growing industry in her doctoral thesis. Backers trust that creators are not likely to pull a fast one, Li says. She explains that once a potential backer has done some research, they build up trust in the creator(s), and also believe that as backers, they have the foresight to pick a successful project. Likewise, creators are driven to complete a project and deliver on their promises if they want to continue growing their business. This mutual understanding underpins crowdfunding. Li chose to study the genre of films within Kickstarter, "Because I was able to track the success of a film via (online database) IMDB. Plus, it’s fun!” Her research led to the discovery that crowd judgment plays a big role in the success of films. She calls this the wisdom of the crowd and sees it as a 'signalling channel' for filmmakers to identify what is popular, what works, what doesn’t and why. To determine the level of each project's success, Li measured the film’s box-office revenue, the producing company's financials and the number of festival awards, if any, they had won. “The audience picks the ‘best’ project out of all the available ones,” she explains. Li feels that in general, researchers and policymakers view most individual crowdfunding investors as inexperienced and inefficient in allocating capital towards non-credit entrepreneurial ventures. “This is largely because we have had little empirical evidence about the role of crowdfunding and its relative effectiveness,” she points out. However, with recent approvals in the United States allowing non-credit providers (e.g. individuals instead of banks) to buy into business ventures, Li’s work focuses on the industry on a global scale, making way for the domestic consideration of policy and regulation development. She hopes that her initial work will lead to better understanding of investments made in the crowdfunding sector, and helps to answer further questions that touch on ethical issues around sums of money pledged by backers being misappropriated by entrepreneurs. 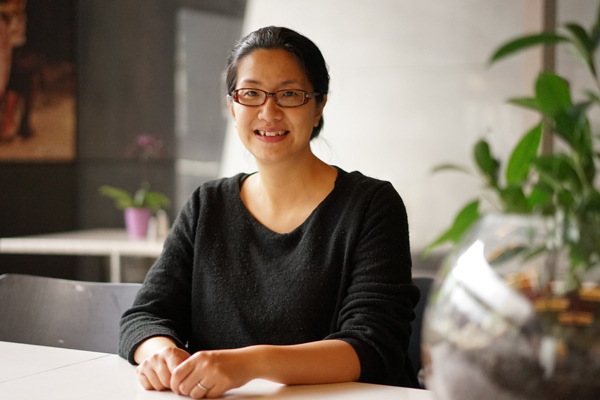 Li is confident that the fast-growing nature of the industry itself is coherent with presenting more readily available data in the next few years, and looks forward to furthering her research in non-traditional entrepreneurial financing. Li completed her thesis in June 2016 and has already been accepted into a post-doc program at ANU.